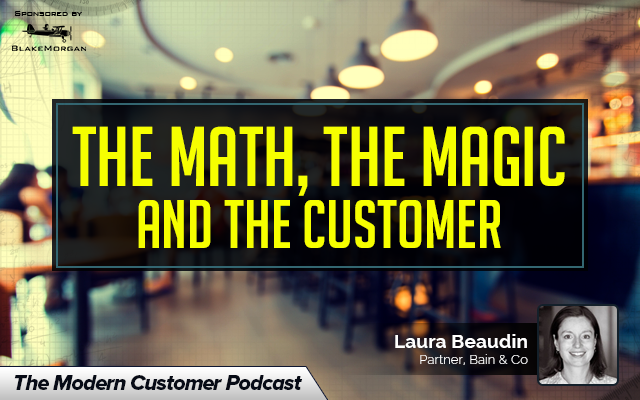 Today’s guest on The Modern Customer Podcast is Laura Beaudin, partner in Bain & Co’s San Francisco office who leads the firm’s digital, customer, strategy and marketing – as well as telecom and media practices could offer your listeners a fresh approach on how important it is to not get lost in the data and maintain connection to the customer as a “person.” I thought this might make for an interesting show topic as it addresses a dilemma facing marketers today and offers proven strategies to deal with it. To access the report click here. « Are We Living In The Experience Economy?